Future Twit: Real Life Flinstones Car? 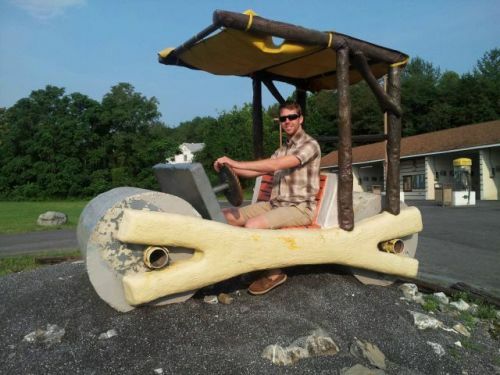 Has this man built a real life Flintstones car? Look at the picture and judge for yourself.